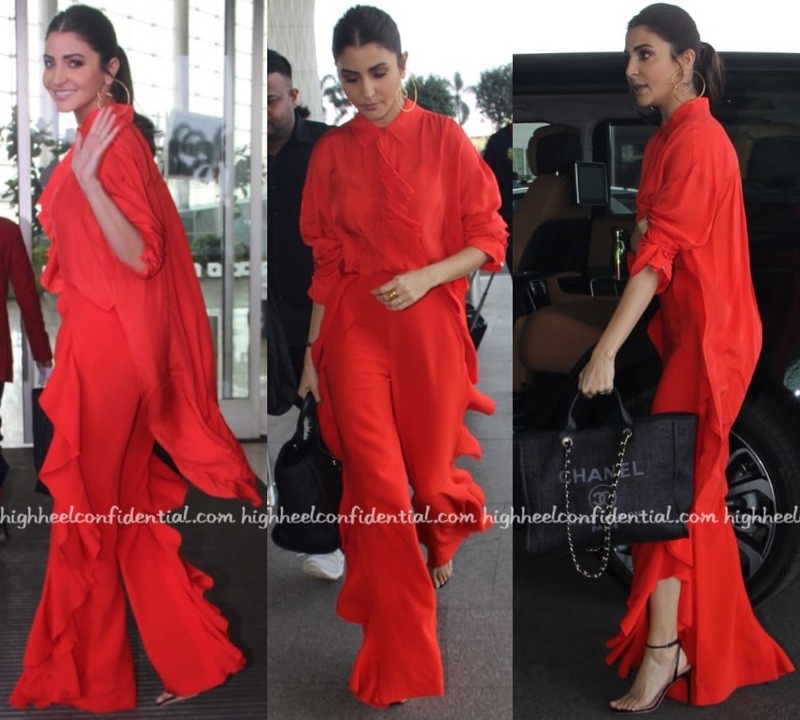 For a recent round of promotions (that included a bit of travel first), Anushka served up some serious color by way of her Cinq à Sept separates. With her hair pulled back in to a ponytail, she rounded out the look with earrings by Misho and a pair of minimalist sandals. Between the color and the ruffles, you’d think we’d be screaming “overwhelmed” but that wasn’t the case. Anushka made every bit of that look work for her! “Every bit worked for her” P&P?? You are joking right? Or did Anushka’s PR kidnap the real P&P and plant a stooge? However well she carries off the outfit, she still looks like a Red lobster mascot! Her attire reminds of a red jelly pudding. Her sandals, earrings and make up are good individually, not sure if they look good together. the comment is a PR placement? Pray tell…how does this look merit the “ made every bit of that look work for her” comment? Looks like borrowing the local circus clown’s pants qualifies as high fashion these days. absolutely love!! anushka is a boss lady and has a sense of ease in every look she wears. Supriya, we all will remain baffled for a lifetime. Hypocrites is the right word for them. Bollywood will “support” any cause as long as they are paid. No one is Bollywood cares about animals or environment…it’s all about the moolah you can rake in using your celebrity. 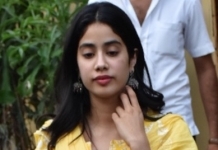 She appeals to people not to burst crackers during Diwali but happily comments on Twitter about how good the mutton biryani was or how good the fish tasted. Hope the bloggers post this comment. Money over morals. And also a lack of actual research about what they endorse. Supriya, l thank your for pointing it out – this has confused me for so long and I have wondered why no one has asked her this outright? She uses leather handbags and wears leather shoes all the time and PETA’s stance on this is very clear… I was so shocked when she received the PETA Person of the year award (or something of that name) despite that. A classic case of people ignoring her hypocrisy because she is a woke A-list celebrity. Again another post by P& P, where they hardly ever give slightest negative remarks on big stars. Even Anushka cannot salvage this red monstrosity. And to reply to a previous comment on celebrities taking a stand for what they believe in, that is something alien to the Bollywood breed. I don’t think they have a spine to actually stand for anything. Case in point, PC bursting trust loads of crackers for her wedding party months after being the voice of ‘No Crackers for Diwali’. Its sadly all a money game for them. P&P please post!! !